Every once in a while, you run into somebody that strikes you as a kindred spirit. When I met Jeremy Moberg, CEO of CannaSol Farms, at the Cova booth at MJBiz last November in Las Vegas, there was an instant bond. He came off as a straight shooting, down to earth guy that had been an active participant in both the industry and for some time including many years in the grey market. With his vast experience cultivating and distributing cannabis, he had unique insights to share and a very specific view of what he believed was the best strategic method to launch his enterprise into the evolving Cannabis Industry. Moberg’s roots in the nascent industry journey back to his high school years when circumstances found the young man having to forge his own way in the world. In 1993, the fiercely independent Moberg needed to find a way to pay for Gonzaga Prep, a renowned private high school in Spokane, WA, after moving out of his childhood home. His divorced parents helped him meet some of his school and living expenses but not nearly enough to cover his costs. This hardship launched Moberg’s cannabis career. Like many aspiring growers, High Time’s “Ask Ed” column inspired Moberg to begin cultivating pot indoors. Before long, he was generating enough money to pay the bills. At that time, a pound of pot fetched $4500/lb. Hustling to make ends meet, he eventually graduated from high school then enrolled at Evergreen State College in Olympia, where he earned his degree in Environmental Sciences. By 1997, after hooking up with a buddy and moving into the Okanogan hippy community, he had bought some property and began learning the ins and outs of light deprivation growing. Over the next decade and a half, Jeremy mastered the little-known method while dodging the Feds over his guerrilla grows, always paranoid that the next day would be his last in the free world. He told CBE that he had lots of close calls but was one of the lucky ones that was never caught . The onset of Washington state’s legalization of cannabis was an opportunity for Moberg to scale his methods in creating a sustainable, low impact, carbon neutral, high-quality product. Most importantly, legalization offered him the chance to find freedom from the shackles of his grey-market background and he was determined to put what he had learned to work to build a successful business under the new regulatory regime. In 2013, as the I-502 program was taking shape, the environmentally conscious Moberg was disturbed by the exclusion of outdoor growing in the plans being put together by the Washington Liquor and Cannabis Board (WSLCB). Along with his friend and activist Buffalo Mazzetti, he formed the Okanogan Cannabis Alliance to convince lawmakers the validity of sun grown cannabis. After writing to Joel Kretz, a republican legislator about sustainable outdoor cultivation, the noise Moberg and his fellow sun growers were making found its way to a front page news piece in the Seattle Times and the WSLCB eventually acquiesced announcing that full-term fields and greenhouses with fences would be allowed. Shortly after, Moberg launched the Washington SunGrowers Industry Association (WSIA) with a primary mission of lobbying for rules to stabilize market inequalities created by indoor myopia. Moberg is Founder and President of WSIA and has been in the news recently for his letter to the Governor Insley and the Washington legislature regarding the problems and disruptions caused by the WSLCB implementation of its new seed to sale tracking system. Jeremy leased property to accommodate his licenses and CannaSol Farms became the first legally licensed sustainable grower in the state. Today, the company is merging with wo other licenses for a total of 3 Producer Licenses of 90,000 sq. ft. of grow area and 3 processor licenses. Cannasol also holds a transport license. Cannasol Farms purchased the farm he was leasing that has a total capacity of 170,000 square feet of canopy production. During his ramp up to become a fully regulated and licensed player, Moberg had also gone on a shopping spree to build an extensive library and vault that today includes more than 200 cannabis strains. “The biggest challenge is not my ability to find or breed new strains, but trying to figure out what the consumer is on the hunt for.” Moberg said. From the get go, CannaSol Farms has been committed to producing premium quality, organically & sun grown sustainable product. The business model seems to make sense, higher terpene and cannabinoid ratios and potency at a lower cost with a price point that is below indoor grown. “The bonus in all this is that my practices are environmentally friendly”. But those economics don’t necessarily work in the cannabis industry in Washington state since many indoor loving retailers control the market and won’t even give sun growers a second look. With a glut of cannabis on the market, prices on the wholesale and retail side have continued to drop making it more difficult for producer/processors like CannaSol Farms to increase revenues and margins in fixed grow footprints. And, with a limited growing season (May to Early September to take advantage of the light source, the sun), cash flow requirements are very different for sun growers. “We are the founding pioneers of Sun Grown Sustainable Cannabis. We harness science and nature by using Solar Light Deprivation, hand crafted organic soils, and no harmful pesticides to bring you the finest, cleanest, tastiest and most incredible cannabis on the market. Consumers want sustainability in their world. They want to be able to make environmentally responsible choices and leave a smaller carbon footprint on the world. Moberg has been very active in establishing an organic standard in Washington and expects guidelines to be in place for the 2019 crop. In an ideal world, his packaging will include curing numbers and believes that this approach and consumer education will help drive greater distribution for the craft cannabis category. That said, the voice of the sun growers is competing with other cannabis lobbying groups to shape legislation that allows them to compete with indoor growers and provide a compelling margin argument for retailers that currently carry his product in the state. He is perplexed by how packaging is more expensive by the gram then what they grow now in Washington and WSIA is also pushing hard for fairly traded cannabis that will change the economics for its constituents. and a value-brand: Columbia Natural cannabis which is derived from a full-term, non-light deprivation crop and is their lower priced product. Even with this product mix, it is incredibly difficult to stand out at retail where Washington dispensary’s (including those that carry CannaSol product) typically have hundreds of choices available to customers across the flower, pre-roll, concentrate and edibles categories making it very competitive to establish brand recognition and differentiation. CannaSol Farms and Moberg have had a long and successful career growing, processing and selling cannabis and he believes that craft, organically and sustainably grown product is something that the consumer wants and will pay more for. Unfortunately, the market forces at work, primarily driven by the retailer in Washington and an overabundance of mass-produced cannabis have inhibited organic sustainable growth and can make it difficult to grow and generate premium price points based on consumer vs. retail demand. That said, he and his team believe that there will eventually be an inflection point where premium, organically produced and sustainably grown cannabis will be in higher demand and will generate greater revenues for all in the supply chain that embrace it. 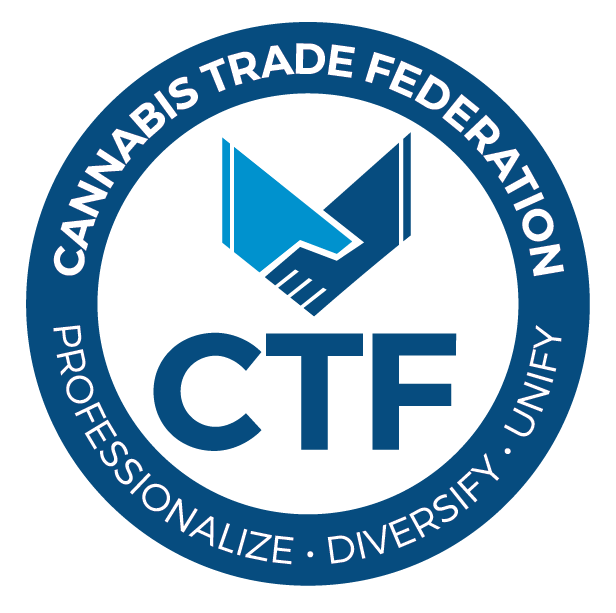 CBE believes in the mission that Moberg and his team are on and look forward to following the progress that he and other craft producers like him in states with legal programs are establishing the niche in years to come. The market will eventually sort itself out and consumer’s demand and pocket books will be the final arbiter of what makes it on to the shelf and at what price. Look for CannaSol Farms to be one of those brands that prevail. Company Name: CannaSol Farm, Inc.
Industry Segment/Category: Farm producing flower and concentrates. Market Strategy/Goal: Export the CannaSol brand and operations IP including software designed and built in-house.